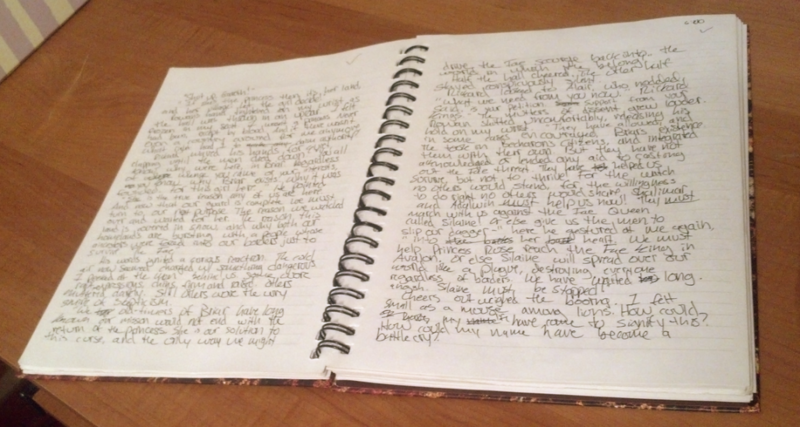 In honor of my post on the creative process, I want to give away my favorite brainstorming tool: The Most Awesome Notebook Ever! Thick pages. These suckers are not gonna give you the same bleed-through action that a normal spiral notebook will. Which is awesome because I prefer the Pilot pens. Speaking of spirals… spirals! Heavy-duty, will never bend or catch on anything spirals! 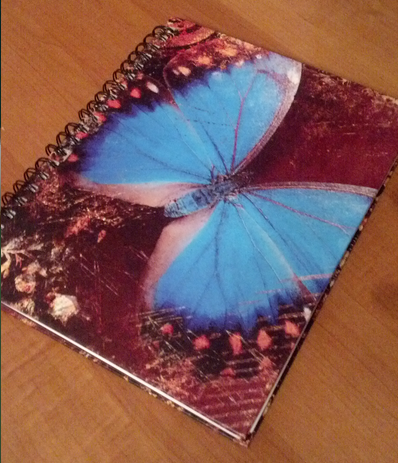 I can flip this notebook any way I want and there’s no fighting or bunching. Totally rad! Beautiful covers. And not just pretty, but thick and sturdy, too! These covers will never bend on you, and I’m not saying it’s impossible, but I’ve never seen mine get scuffed. WOW! What did I tell you? THE PERFECT NOTEBOOK. Sooooooo because I love you and we’ve been talking about brainstorming lately, I want to give you the opportunity to win one of the above two notebooks. Use this handy-dandy Rafflecopter widget below! Please note that this is only open to US-residents only. 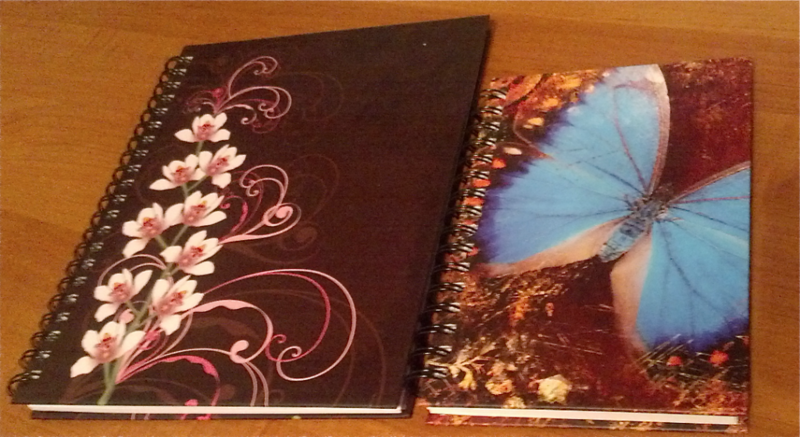 Eleni Alexandraki won the large notebook, and McQuinn won the small one! If you guys can email me your addresses I’ll get those shipped off to you, hopefully this weekend! Thank you so much to everyone who participated <3 This was my first giveaway operated solo and I think it was a success. We’ll definitely have more in the future! Book Giveaway: World War Z! True, you guys have read the article before, but that doesn’t mean you can’t comment! I entered the contest at boingboing.com to win a free laptop by rewriting part of one classic with the incongruous writing style of another. I’m supposed to be a docile, little animal. This is the workhouse, and I’m supposed to be a cog, a tiny man-slave. The thing is, today’s not going to work like that. Someone had the bright idea of standing up to the establishment, and once again I’m in the wrong place at the wrong time. Big insurrection from a nine-year-old. Anarchy. Armageddon. The earth snubbing its bulbous, greasy nose at an affronted God. I am Oliver’s perpetual bad luck. It’s not that I don’t belong here. I do. I’m a third-class, dirty, little orphan like the rest of them. But I’ve never been the rebel type. I am Oliver’s lily-white cowardice. I am Oliver’s eventual, raging resolve. The boys take their places, and I’m shaking in my rags, bones quivering inside my thin, damp skin. If I’m going down, I’m going to at least make my point. Imagine: living off food the rats wouldn’t eat. Imagine: wondering why you’re not growing anymore, even though your belly is. You check yourself for the perpetual shakes, for the skin sores, for the softness in your teeth. You count the number of headaches, praying the same, tired prayers when you feel like you’re going to pass out. Pestilence. Parasites. Prayer. The big three in this place. I am Oliver slowly starving to death. The cook, a large, stern man, stands at the pot and dishes out the meager portions of what constitutes life around here. When it’s all gone you won’t be able to tell we ate anything. A long, boring grace is being recited, but I can’t even hear it. A spoon clinks against my bowl but I can’t even feel it. The others are looking at me, waiting on me. The moment eclipses. I am their puppet, the physical incarnation of their misery and hope. You get up from your chair. You approach the only deity you know; the man with the food. The entire hall is staring at you, the mouth of the cook is turned down in contempt. You are remembering every beating, every foul, pitiful groping from the men in charge. You are already feeling the chill of the icy streets outside, and grappling with the death that will surely come quickly when you’re cast out. And you are Oliver not giving a damn. The Cook’s spoon clatters to the ground. The master turns pale amidst his sweaty fatness. He stares at you, stupefied, astonished. He clings to the table for support. Everyone in the hall freezes, bracing for whatever’s coming next.